This FOTD is a little premature, as it’s still in bud, but I’m on a roll here with the Eupatoriums. This one can grow up to five feet tall, and has longer, narrow leaves than the other species I’ve written about the past few days. The inflorescence is rather flat. 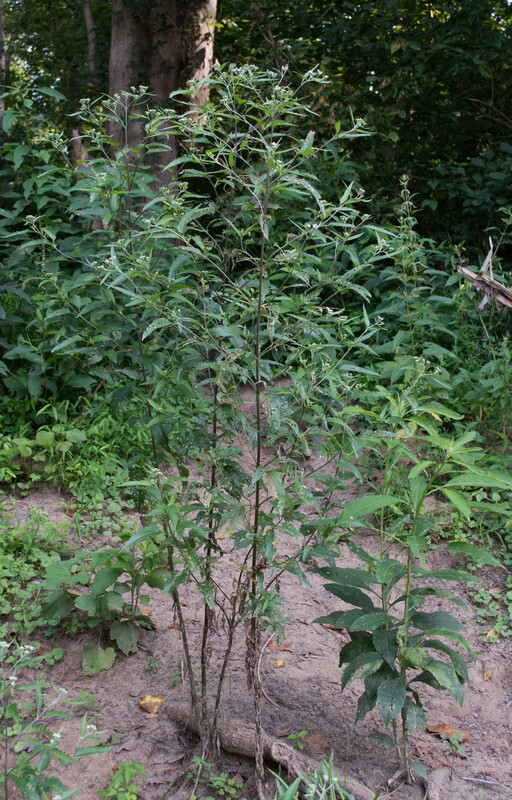 This plant, also known as late boneset, is endangered in New York. Like most of its relatives, it can be found across the eastern US and into Canada. Tomorrow, I’ll take a break from plants in the aster family – but not for long, because this is the time of year when they really dominate. As of August 13, 13% of the plants I’ve catalogued this year have been in the Asteraceae. By October that figure might be as high as 25%. Of all the plants families on this earth, only the Orchidaceae has as many species. 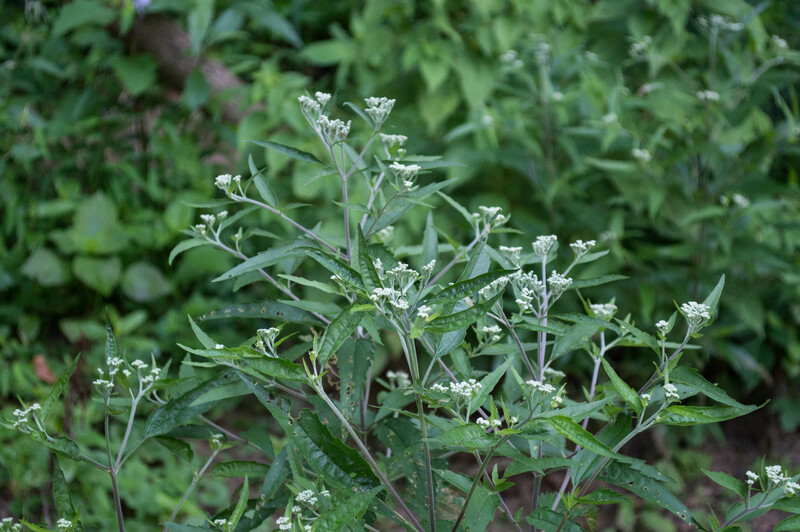 This entry was posted in Uncategorized and tagged aster family, boneset, Eupatorium, late-flweing thoroughwort, native plants, thoroughwort, wildflowers by elizabeth. Bookmark the permalink.